Our dispatchers are very busy, having handled more than 36,644 calls through the countywide 911 system and over 103,845 calls through general business lines in 2018. Dispatchers also handle primary public safety dispatching services for the Sheriff’s Office; Sandusky Police and Fire Departments; Perkins Township Police and Fire Departments; Huron Police and Fire Departments; Bay View Police and Fire Departments; Castalia Police Department; Kelleys Island Police, Fire, and EMS Departments; and the Groton Township, Margaretta Township, and Vermilion Township Fire Departments; and Berlin Heights Police Department. In addition, dispatchers handle after hours calls for the Erie County Department of Job and Family Services—Children’s Services Division as well as many other public agencies, including highway and utility departments. 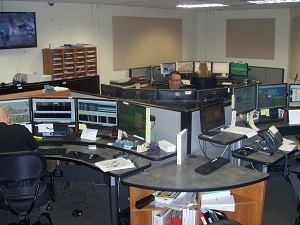 Dispatchers also are responsible for the processing and validation of all arrest warrants on file at the Sheriff’s Office.